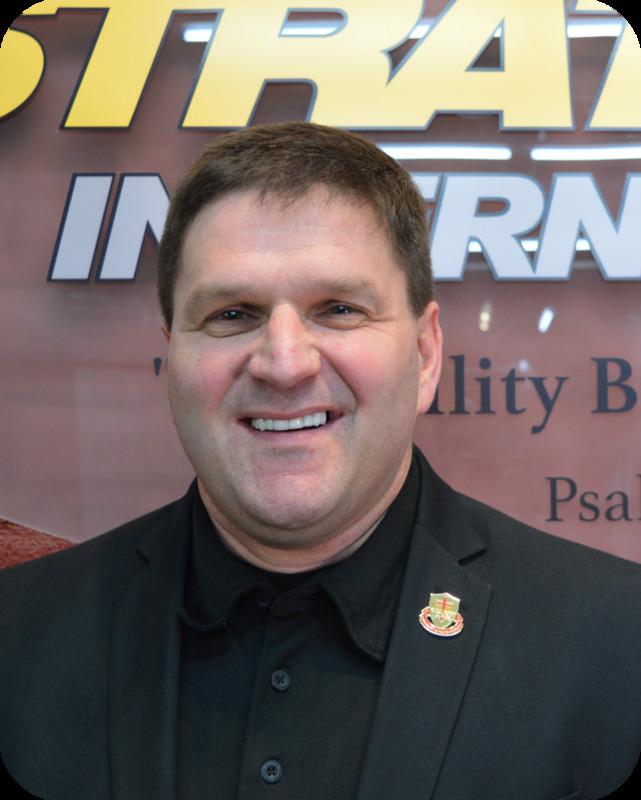 Active Shooter Response for Church Security Personnel | President – Founding member of Strategos International - Mr. Baker is currently the President of Strategos International. His law enforcement experiences include 15 years of patrol, investigations, and special operations assignments. He has also served as a member of his agency’s SWAT team for over 12 years. He has trained thousands of law enforcement and military professionals from around the world over the past 15 years on various law enforcement, military and tactical related topics. "Can You Prevent the Next Church Shooting?" | John D. Byrnes, D. Hum, coined the phrase "Aggression Management"®. Organizations come to John Byrnes because he is the leading authority on preventing aggression in the workplace and in schools. He has conducted Aggression Management® Workshops for some of the nation's largest employers, among them the United States Postal Service, NASA, United States Department of Agriculture, and Disney Development. He has published articles extensively and has spoken before many national associations. Active Shooter Survival Strategies | Founder and President - Greg Crane is the founder of the ALICE (Alert, Lockdown, Inform, Counter, and Evacuate) and the RAIDER (law enforcement only) training programs which he developed to keep his wife’s (an elementary school principal) school safe after the events of Columbine. 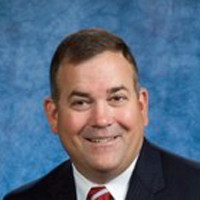 He later founded Response Options, a training company dedicated to the safety of staff and students.As part of a major business expansion in 2013, Crane continues his work as president under the name ALICE Training Institute. The new name leverages the good-will and national acceptance of the ALICE training program. 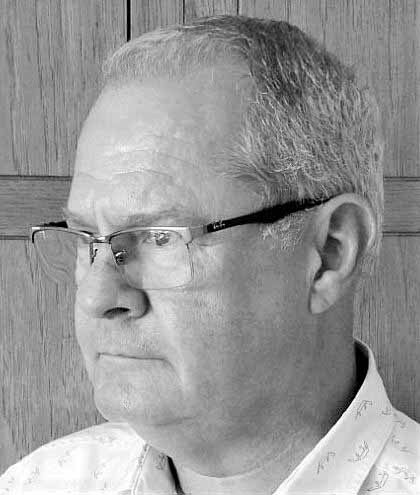 Crane can often be found speaking at national events and conferences across the U.S.With more than 25+ years of experience as a law enforcement officer and security consultant, Crane has firmly established himself as one of the foremost school safety and active shooter specialist in the nation. To his credit, ALICE was the very first training program in the country that provided staff and students with optional responses to an active shooter gaining entry into a classroom – other than a lockdown-only approach that entails sitting against a wall or under a desk. 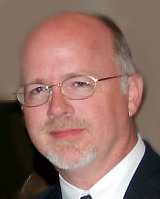 Chuck Chadwick is the Founder and President of the NOCSSM™ - National Organization for Church Security and Safety Management™ which has helped thousands of churches throughout America with security and safety issues that concern all churches both large and small. 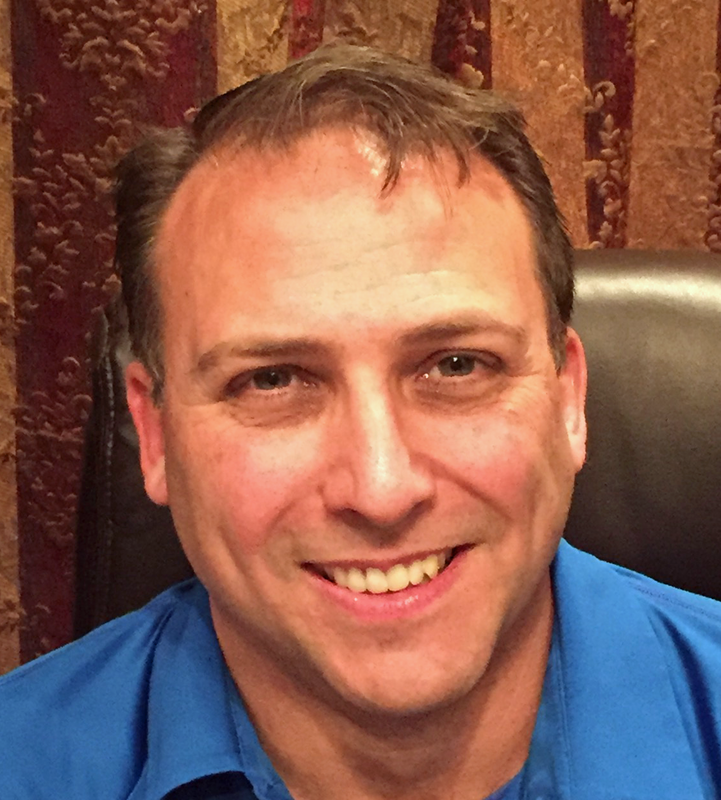 He is the licensed security manager and president of Gatekeepers Security Services who’s Gatekeepers Program™ has put hundreds of armed Gatekeepers in churches across Texas. He is also the president of the Christian Security Institute™ which trains church security teams in regulated and non-regulated states. Chuck was the past Director of Security for several large Mega Church in, Texas. His three decades of private security experience, and over a decade in the Church security field enables him to address the unique security issues faced by churches of all sizes. Chuck's credentials includes Certified Protection Specialist through Executive Security International, a Certified Law Enforcement Firearms instructor, a Certified PPCT Defensive Tactics Instructor and a Licensed Level 3 & 4 Security instructor through the Texas Department of Public Safety Private Security Bureau. 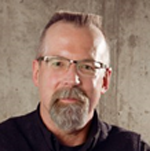 Critical Interaction Associates | In one of his signature presentations, Randy takes a humorous yet critical look at the emotional, psychological and physiological aspects of interpersonal crisis communications. Communicating When it Counts is laced with dozens of “keepers” participants may use to navigate the course of a conversation that is going south in a hurry; to mitigate the negative impact of conflict; to recognize the subtle indicators that the atmosphere of the interaction is changing; and to turn no-win situations into mutually beneficial opportunities. Randy neatly folds all of this insight into a self-deprecating story of mistaken identity that occurred years ago. Palmer Holt is an award-winning communications professional with more than 25 years’ experience in journalism, corporate and agency public relations, marketing and advertising. He is a former newspaper editor, “Fortune 100” company media relations executive and spokesperson, and advertising agency executive. Holt served as World Missions Correspondent with the Communications Team for Cape Town 2010: The Third Lausanne Congress on World Evangelization. Executive Director of Crisis Consulting International | Bob Klamser is the co-founder and Executive Director of Crisis Consulting International, a non-profit organization that provides security and crisis management services to the missionary, humanitarian and NGO communities. Crisis Consulting International conducts training seminars and consults with organizations on a wide variety of topics related to organizational and member security, especially in dangerous and hostile environments. The organization also provides hands-on assistance during emergencies. These services include hostage negotiations, evacuation management, response to extortion, risk assessments, site surveys, etc. New Life Church - I retired as a First Sergeant from the US Army in 2004 with 20 years of service, and I am a veteran of Operation Iraqi Freedom, received the US Army Combat Action Badge and Global War on Terrorism Expeditionary Medal. I have served in Kosovo, Panama and Honduras. After retiring from the US Army, I worked as a Program Security Manager protecting a large classified government contract. Prior to the shooting at New Life Church in December 2007, I volunteered as a Team Leader with the Security Team at New Life Church. As a result of the tragic shooting at New Life Church in Colorado Springs, Colorado and the security teams ability to respond quickly, I was called to serve on the ministry staff of New Life Church in February 2008 as the Director of the Life Safety Ministry, overseeing the security of the 10,000+ member church. I have been certified as a Defensive Tactics Instructor and have completed ALERRT (Advanced Law Enforcement Rapid Response Training) through the Texas Tactical Police Officers Association and with the Amarillo, TX SWAT Team. I am a graduate of Concordia College in NY and have a degree in Behavioral Science. Last, but not least: I am happily married for almost 38 years and have two children 35 and 34 years old. I retired from New Life Church in August of 2017. As the Director of Life Safety, I led the New Life Church Security and Medical Teams. The Life Safety Ministry touched all activities at New Life Church as we served the body of Christ. I feel that Life Safety is a “priestly duty” and that we serve God’s people body, soul, and spirit to create a safe environment where everyone can worship, fellowship and draw near to our Lord Jesus without distraction. Dr. Sean Lawler earned his Doctor of Management degree from Colorado Technical University within the concentration of Homeland Security Studies. He is a graduate of the US Air Force Academy (studying national security and counter-terrorism) and served as a Human Intelligence Case Officer/Combat Interrogator before becoming an AF Aircraft Commander and Instructor Pilot. He has served for more than 12 years as a federal law enforcement officer. Dr. Lawler has conducted doctoral-level research within the related fields of active shooter defense and countering a terrorist attack upon a school. He has studied under subject matter experts in the field, including Dr. John Giduck, who is one of the leading experts on terrorist attacks against schools (including the attack on a school in Beslan, Russia and the attack on Virginia Tech). The Insurance Perspective - John Liske has been in the insurance and risk management profession since 1978, with significant expertise and client experience in a variety of industries but with a focus in the nonprofit area, including religious organizations, churches, schools, senior adult facilities, children and social services organizations. John has been with MHBT since 1984. Prior experience includes commercial multi-line underwriter for Transamerica and Central Mutual Insurance Company. "Pastoral Protection" | Richard will speak on the unique challenges security has in protecting our pastors while being unobtrusive. Richard is one of the highest respected Executive Protection Specialist and Instructors in the land. Richard graduated from Pensacola Christian College in 1989 with a B.S. in Commercial Writing. He holds a 6th degree Black belt in San Sai Ryu Karate, a 4th degree Black Belt in American Kenpo, a 3rd degree Black Belt in Tae Kwon Do and an instructor in Kenjutsu/Aikijutsu. Richard founded Ellis County Martial Arts. Richard holds numerous professional security licenses including Personal Protection Officer, Firearms and Defensive Tactics Instructor. Richards's practical experience has evolved throughout his career in law enforcement, executive protection and instructor. From high risk executive protection instructor in Bogotá Columbia to heading up the security teams of numerous high profile evangelist , Richard brings the "Real World" approached to pastoral protection. Unmasking Background Checks | Mr. Riddle has more than 30 years of investigative experience and established Kelmar and Associates more than eighteen years ago in 1989. Prior to founding his own company, Mr. Riddle worked for two other private investigation companies including a nation-wide operation. In addition, Mr. Riddle worked in the insurance industry as an adjuster and an investigator. Kelmar and Associates conducts a variety of corporate and general investigations including counter-intelligence, workplace and general investigations. Mission and Purpose - | As President of Partners in Church Consulting, Lamar Slay oversees all aspects of the consulting work done by PCC consultants. He has over 35 years of experience working with churches of all sizes, styles, and denominations. He has served on the teaching teams of Saddleback Community Church and Fellowship Church. His many years of experience with churches on the cutting edge of reaching people for Christ can be great resource for your church. ght overseas locations around the world. He is also the founder and past Executive Director of Serve Denton, a nonprofit organization that provides support for other nonprofits that open doors for people to become self-sufficient. Serve Denton accomplishes this mission by delivering shared space, shared services and helps agencies share risk in collaborating with one another. Pat is the son of Jim and Judy Smith. Originally from Fairport, New York, he graduated from Denton High School in 1980. Pat holds a bachelor's degree in civil engineering from the United States Air Force Academy and two master's degrees in engineering management and strategic studies from Air University. He is a registered Professional Engineer, an Accredited Professional in Leadership in Energy and Environmental Design, a Project Management Professional, and Certified Cost Engineer. Pat's wife is Jana, and they have three grown sons--Matt, Drew, and Tim; and four grandchildren, Zachary, Zoe, Avonlea, and Ember. Pat's passions outside of work and family are studying the Bible, doing service projects across Denton, building swing sets for children, and working off his bucket list by traveling with Jana.dom, accomplishing $55 million of construction in six months’ time. In 2004, Pat returned to Denton where he commanded the Air Force Reserve Officer Training Corps detachment at the University of North Texas. In 2006 he led the Air Force's housing privatization program, managing a $3.7 billion portfolio of homes and completed ten significant projects in a two-year period. Pat retired from the Air Force as a Colonel in 2008 after 24 years of service. His military decorations include the Legion of Merit, Bronze Star, and Meritorious Service Medal. Brotherhood Mutual Insurance Company - Five Key Steps to Building and Maintaining a Volunteer Safety and Security Team | Bob has been the Director of Finance and Administration and Risk Management for two mega churches over the past 20 years: Vineyard Christian Fellowship of North Phoenix and Christ's Church of the Valley, both located in the Phoenix area. Bob has served on several boards including the local Phoenix NACBA chapter, CCV Youth Sports Inc., the largest nonprofit youth sports program in Arizona, Financial Planning Ministry and the Boys and Girls Club in Austin Texas among others. Bob wrote and self published an instruction manual for church planters called: Growing Your Church From The Ground Up: The Corporate Side. Bob has been published in Church Executive Magazine and more recently in Christianity Today and Group Publishing professional edition for their Children's Magazine.. In 2009 Bob joined the team at Brotherhood Mutual Insurance Company as the Sr. Director-Strategic Alliances. Director of Security, Covenant Church | EMT - Trauma in the church...With five campuses and approaching 10,000 in membership, Covenant Church represents one of the largest Mega-churches in America. David Wood has been at the helm of the ministry's security and safety efforts for the past 10 years. As Security Director of a large ministry, David deals daily with the complexities of a diverse, multicultural, multi-site mega-church. David will speak on the security efforts of such a ministry. "Multi-Site Mega-Church Security" - With five campuses and approaching 10,000 in membership, Covenant Church represents one of the largest Mega-churches in America. David Wood has been at the helm of the ministry's security and safety efforts for the past 10 years. As Security Director of a large ministry, David deals daily with the complexities of a diverse, multicultural, multi-site mega-church. David will speak on the security efforts of such a ministry.